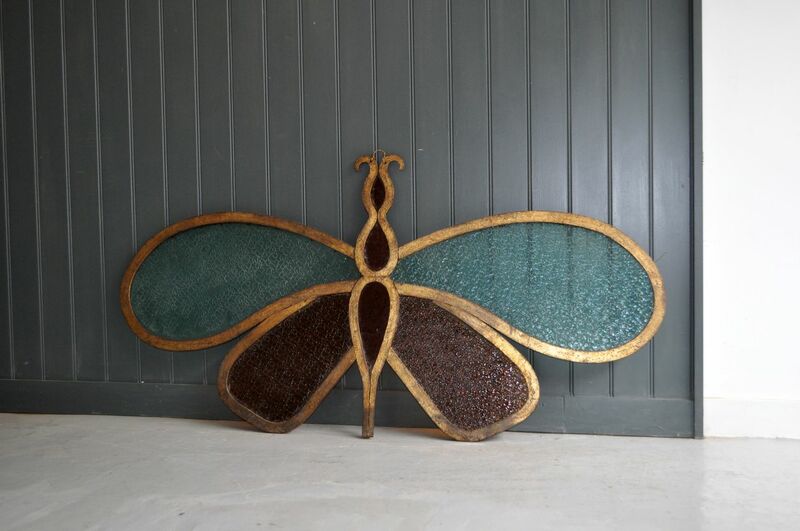 A beautiful decorative French butterfly with lovely textured blue and amber glass within a heavy metal frame in original worn gold paint. 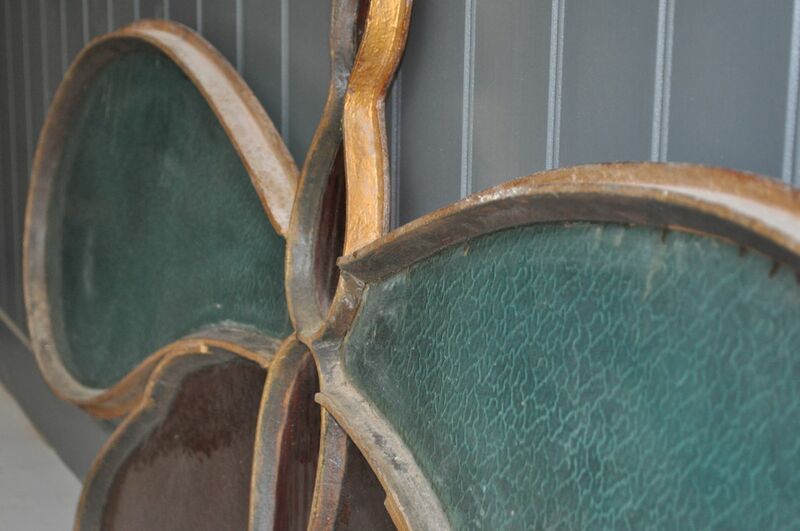 There are a couple of minor cracks to the smallest most upper piece of glass of the head. 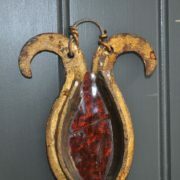 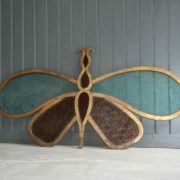 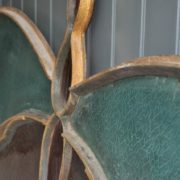 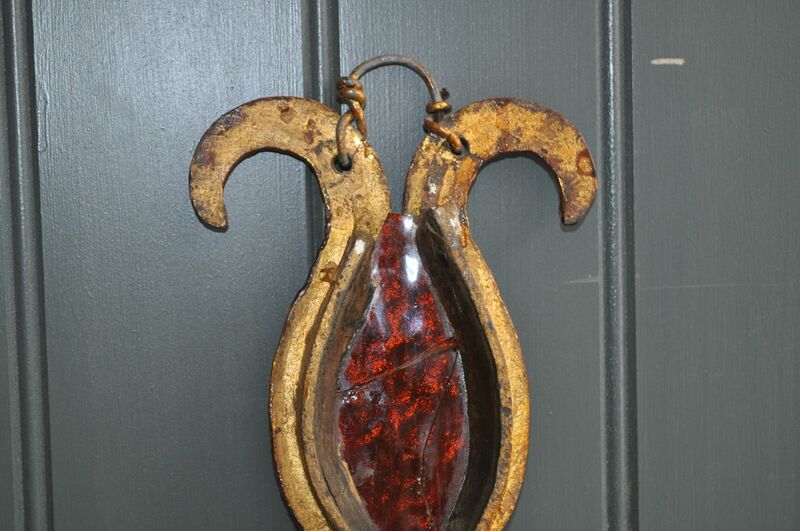 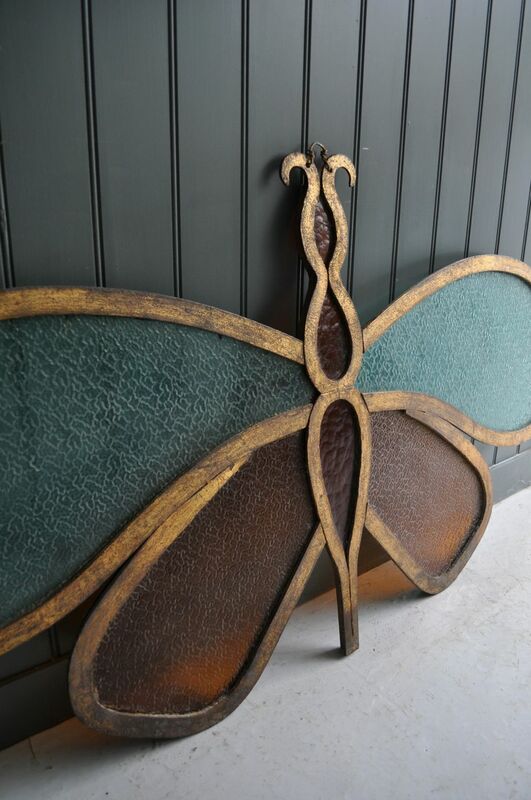 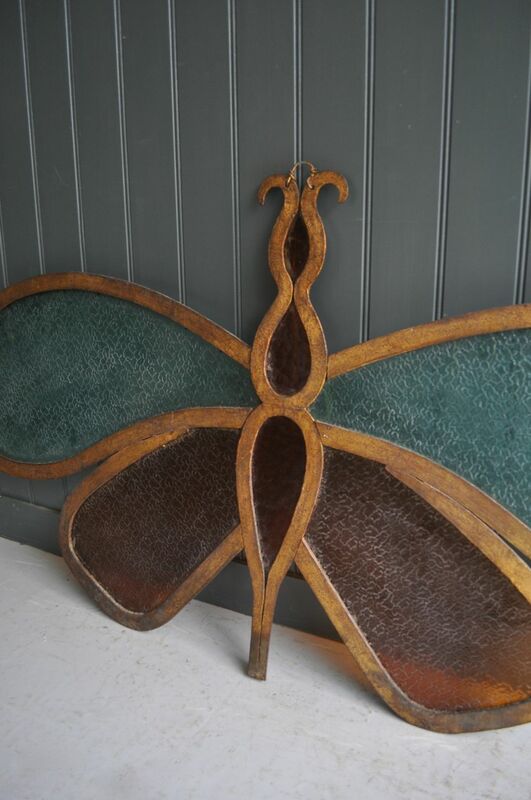 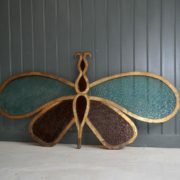 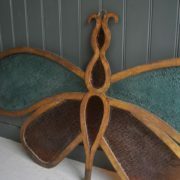 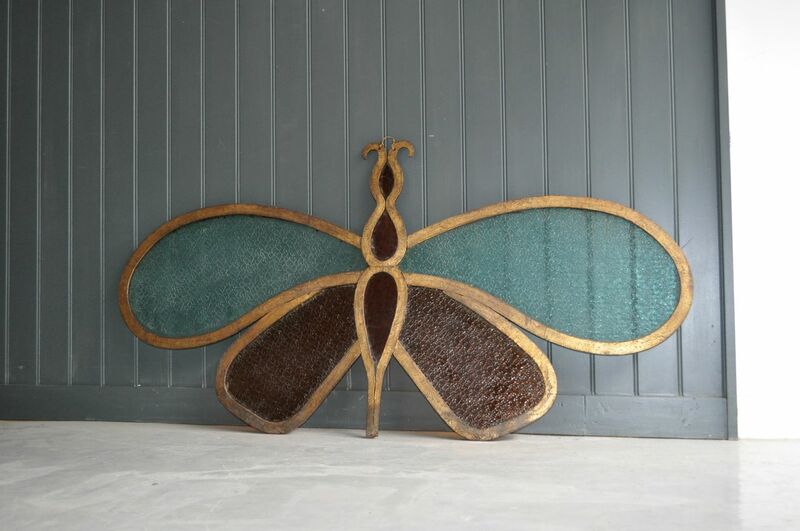 An unusual and really lovely piece, with a dramatic scale – it would look beautiful suspended in front of a window.